Specificity The antibody is a rabbit polyclonal antibody raised against IL34. It has been selected for its ability to recognize IL34 in immunohistochemical staining and western blotting. 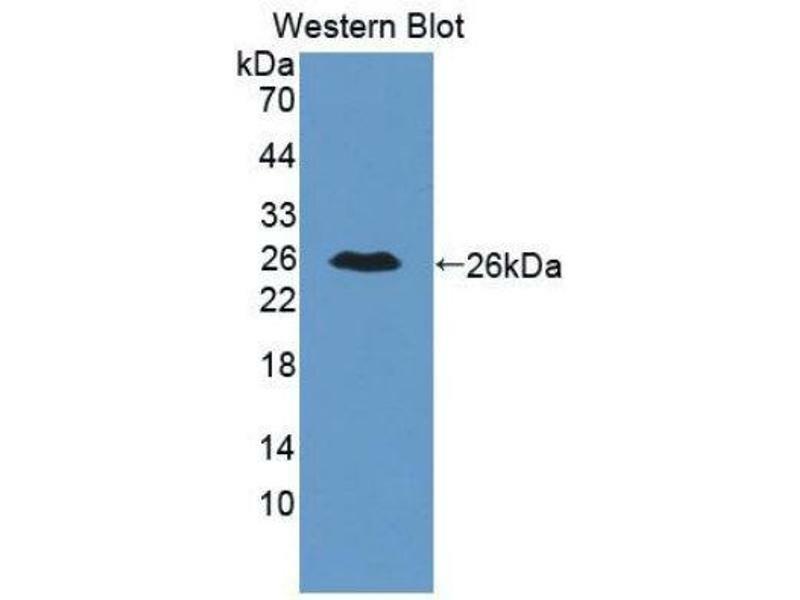 Western blotting: 0.5-2 μg/mL Immunohistochemistry: 5-20 μg/mL Immunocytochemistry: 5-20 μg/mL Optimal working dilutions must be determined by end user. The thermal stability is described by the loss rate. The loss rate was determined by accelerated thermal degradation test, that is, incubate the protein at 37°C for 48h, and no obvious degradation and precipitation were observed. The loss rate is less than 5% within the expiration date under appropriate storage condition. Buffer 0.01M PBS, pH 7.4, containing 0.05 % Proclin-300, 50 % glycerol. Precaution of Use WARNING: Reagents contain sodium azide. Sodium azide is very toxic if ingested or inhaled. Avoid contact with skin, eyes, or clothing. Wear eye or face protection when handling. If skin or eye contact occurs, wash with copious amounts of water. If ingested or inhaled, contact a physician immediately. Sodium azide yields toxic hydrazoic acid under acidic conditions. Dilute azide-containing compounds in running water before discarding to avoid accumulation of potentially explosive deposits in lead or copper plumbing. Handling Advice Avoid repeated freeze-thaw cycles. Storage Comment Store at 2-8 °C for one month. Aliquot and store at -80 °C for 12 months.